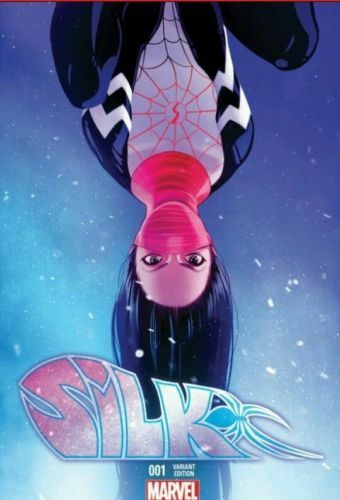 I knew something wasn't right yesterday when I was doing my usual rounds of picking up any variants I think may be hot and being told by every shop I spoke to that they had no Silk #1 1:25 variants. Now a lot of these shops order big quantities, so they would have definitely ordered more than 25 of Silk. I thought maybe they had just been reserved already. Anyway, this morning I saw one of the larger EBAY UK sellers who lists every Wednesday morning, did not put any up for sale. So I decided to call one of my regular sources and was informed that no copies of this variant made it to the UK. They may possibly get them next week, but I'm not holding out much hope (mainly because these have already sold out at Diamond).I am waiting to hear back from one of the shops I deal with if Diamond will honour these at a later date. But, as it stands at the moment, if you can get these books from the US, this book is going to be HOT HOT HOT in the UK! I’ve had the same experience. Was looking all over for this variant only to find that no stores in the UK has a copy. I’m not even sure why….An ebay seller mentioned a ‘distribution issue’ whatever that is. Can you please let us know if Diamond will be releasing more? Many thanks!